Located within a short walking distance of rail, metro and shopping facilities, this centre offers a simple licence option which includes Rent, Rates, Service charges, Heating / Comfort cooling and Electricity. Board room facilities are also available for hire. Secure access 24 hours a day offers great flexibility as well as peace of mind. 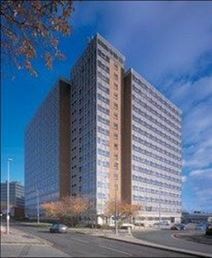 Housed within a modern building, car parking facilities are also available. 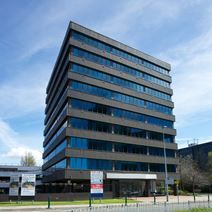 A selection of offices is available to let in a modern building, located a few minutes away from Manchester city centre and close to the railway station. These offices are provided with parking area, security systems and all the services and facilities needed to run a successful business. Manchester Airport can be reached within half an hour by car, and there are hotel options within close proximity. 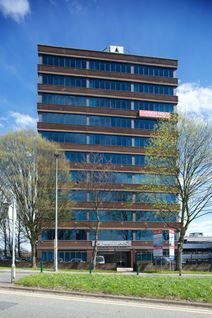 The office is located in Stretford, with great links to central Manchester and beyond. Eccles Train Station, the Ladywell Metrolink and Guinness Circle Bus Station are all within walking distance of the office, giving you an easy daily commute. The space boasts many amenities including conference facilities, meeting rooms, administrative support and training rooms, perfect to watch your team grow. The building is accessible 24 hours a day and has around the clock security, alongside Wifi and plenty of communal space if you're looking for a break from the office. There are plenty of attractions nearby to entertain your clients and team alike, including Old Trafford, the home of Manchester United Football Club which can be accessed in less than half an hour. Having recently undergone a major external and internal refurbishment, this centre offers semi-serviced or conventional managed office space. Offices are available on lease or short term license terms. The centre is located opposite Eccles town centre and benefits from close proximity to the train station and transport network.